The Death of Superman storyline hasn’t had the best luck at the multiplex. A direct adaptation of the comic couldn’t get off the ground in the ‘90s under Tim Burton’s leadership. And in 2016, its translation in Batman v Superman: Dawn of Justice was met with a collective thumbs down from fans. Nevertheless, Warner Bros. is hoping its animated interpretation fares better. Via ComicBook.com, Fathom Events is partnering with the studio for a double-feature screening of this year’s The Death of Superman and its upcoming follow-up, Reign of the Supermen. The Death of Superman was released on DVD and Blu-ray last summer. Jerry O’Connell starred as Clark Kent and his famous alter ego. Rebecca Romijn co-starred as Lois Lane, with Rainn Wilson as Lex Luthor. The film faithfully adapted the Man of Steel’s fatal showdown with Doomsday and ends on a cliffhanger teasing his eventual resurrection. Reign of the Superman picks up where that film left off and features most of the cast members from the previous installment. It introduces the string of copycat “heroes” that show up in Clark’s absence, including Steel, Eradicator, and Superboy. The screenings will take place on January 13 and 14, 2019. They will also mark the world premiere of Reign of the Supermen ahead of its digital release on January 15. Fans who want to buy it on Blu-ray or DVD will have to wait until January 29. 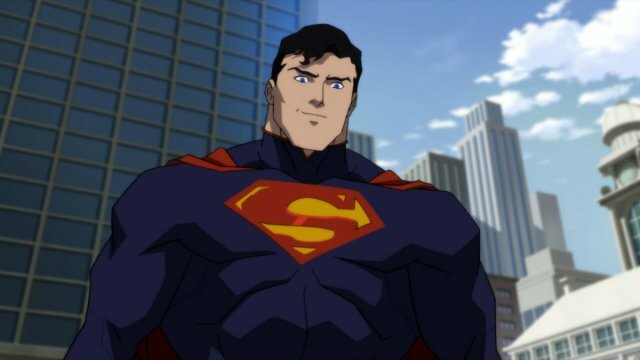 Will you be catching the screenings of these animated Superman films? Let us know in the comment section below!